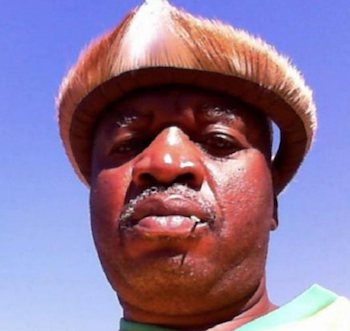 Summary: Davy Ndlovu has been vigorously campaigning for the rights of the San, a hunting-and-gathering indigenous people heavily marginalized and threatened from existence as a result of rapid land-grabbing spearheaded by dominant tribes in Zimbabwe. Ndlovu has been threatened and attacked by both the government and local farmers, but over the years he has succeeded in recovering much of the San culture lost over the past century. Profile: The San are a people with a hunting-and-gathering history who have been living in southern Africa for thousands of years. In 1928, the colonial government moved the San off their land, established their former home as a game park, and made their hunting and gathering a crime. Over the years, the persecution continued: The San were dispersed, at one point their language was spoken by only 11 people, their citizenship in the current country of Zimbabwe was denied, they descended into poverty, and their culture was diminished. Then along came Davy Ndlovu. Ndlovu’s awareness of what horrors people are capable of committing began in 1983, when his brother was shot nine times and other people in his village were slaughtered by government soldiers—part of the Gukurahundi massacres. But Ndlovu turned that awareness into commitment—a commitment to help the San. Ndlovu lived among the San for eight years—without an income. He gained their trust, and they told him their story. Ndlovu wrote about it in a publication entitled “In Their Own Words: The Story of the San Communities in Zimbabwe”. But he didn’t stop there. He formed the Tsoro-Otso San Development Trust to fight for their rights. “The government hasn’t been forthcoming” is a bit of an understatement. Ndlovu was subjected to smear campaigns. At one point, he was abducted and left in the bush. He was commanded by the District Administrator to surrender any information he had about the San and stop his work—“or face the consequences”. His home was burned down. Ndlovu persisted. He solicited money where he could, and he advocated where he could. And slowly, he achieved success. Today, funding helps provide financial support to the San. The San are recognized in the Zimbabwe Constitution. Their language is officially one of the 16 official languages in the country. Schools are being built, and San children are attending them. And the San are now citizens of Zimbabwe.